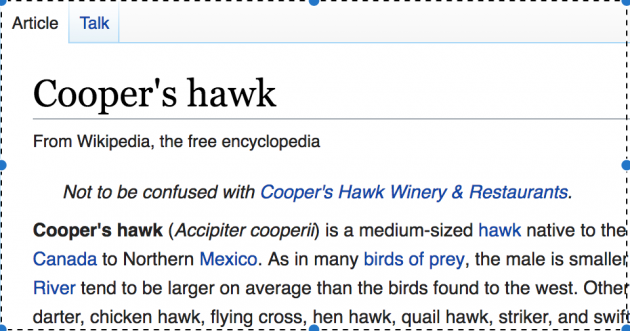 Alas for the naming of birds that it took place before anyone had the foresight to recognize that the Sharp-shinned Hawk should be called the Mini-Cooper. It would reflect not only a pun hilarious to me personally and birding dads everywhere, but the magnitude of the ID challenge presented by a glimpse of one of these accipiters in swift flight – akin to the Greater and Lesser Scaup or the Long-billed and Short-billed Dowitcher. But such things were not to be. Instead, the mid-sized family Accipiter was named for William Cooper – noted conchologist and colleague to such bird-name luminaries as Thomas Nuttall and Charles Lucien Bonaparte (who did the naming). Meanwhile, the sporty little couple of passerine devourers is named apparently for skipping leg day, joining the likes of the Ring-necked Duck and Red-bellied Woodpecker in being called after a physical feature that is pretty much pointless as a field mark. The whole situation could not be more disorganized if it tried. I am only saddened that Queens doesn’t offer more opportunities to see Mini-Coopers, call them Mini-Coopers, and try to get this usage changed. Featured Image: Apparently non-birders have a very different idea of what constitutes an ID challenge. If ever I return to North America, I’ll stick with Mini Cooper. One heck of a name.